ACCESSORIES - Order in chart below. Must be purchased with lift. Adjustable Forks - Adjust for loads from 11" to 30" to accommodate diverse loads. 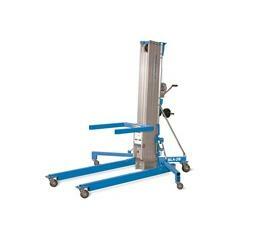 Measures 27-1/2"L x 11" to 30"W x 2-1/2"D.
Fork Extensions - Inserted onto standard forks for an additional 25" of length. 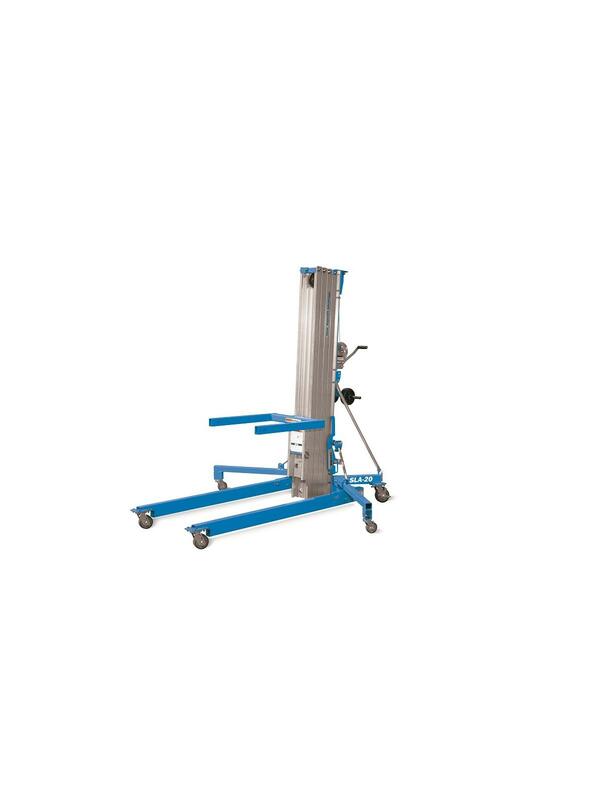 Load Platform - Used with standard or adjustable forks. Fits over forks so one person can handle odd-sized or heavy objects. No tools required. 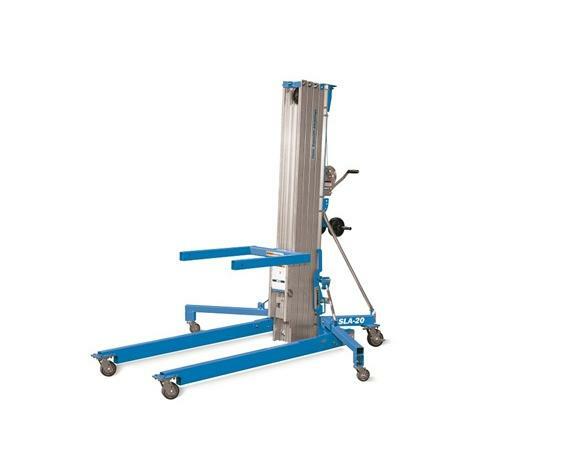 Measures 27-1/2"L x 23"W x 27-1/2"D.
Boom - With multi pre-drilled lift points to allow crane type hoisting. 1'6" to 3'6"L x 1-1/2"W x 6-1/2"D.
Captive Stabilizers - Provide additional lateral support for heavy loads with a patented "locking system". Easily stow-able - folds up for easy storage. No loose parts. Standard on HSLA-20 and HSLA-25. Not available on straddle bases. Transport Wheels - Set of two wheels for easy loading and transporting over rough job site debris and soft ground. Ideal for construction sites.